Tanner Cripe, son of Kevin and Kimberly Cripe, will attend Hanover College in the fall to study education. Alix Parrett, daughter of Gary and Giselle Parrett, will be a freshman at Trine University studying psychology. Lorelei Seip, daughter of Scott Seip and Cheryl Seip, will be a freshman at Purdue University in the fall where she will study animal science. Andrew Miller, son of David and Tracy Miller, plans to attend Vincennes University to pursue a degree in fire and paramedic sciences. Benjamin W. Bennington, a 2009 graduate and son of Shelly and Paul Amich, attends Indiana State University. Nicholas Jones, a 2008 graduate and son of Troy and Rhonda Jones, attends Indiana State University. Shane Clingenpeel, a 2007 graduate and son of Kim Clingenpeel, attends Purdue University. Eric Barnard, son of David and Lisa Barnard, plans to attend Purdue University to pursue a degree in general studies. Kristopher Bender, son of Kevin and Denise Bender, plans to attend Purdue University to study agriculture economics. Erin Garate, daughter of Cuauhtemoc and Emmalee Garate, will be attending Johnson Bible College to study bible/music ministry and counseling. Daniel Gascho, son of Gordon and Darla Gascho, is a graduate of Rossville High School. Daniel will attend Purdue University to study animal sciences with a focus on pre-veterinary school requisites. Katelyn Smith, daughter of Sally Smith, graduated from Clinton Prairie High School. She will be attending Indiana Wesleyan University to pursue a degree in social work and church music. Nancy Bautista, daughter of Hector Bautista and Eloisa Bautista, plans to attend Ivy Tech Community College and then Indiana University-Kokomo to study early childhood education. Kara Schwarzkopf, daughter of Kirk and Lori Schwarzkopf, is a graduate of Delphi Community High School. She will attend Kansas State University to study pre-veterinary medicine. 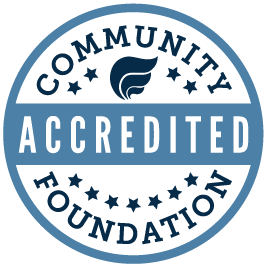 The Lilly Endowment Community Scholarship Program is designed to raise the level of educational attainment in Indiana and to leverage further the ability of Indiana's community foundations to enhance the quality of life of the state's residents. Jared Collins, son of Scot and Sharon Collins and a graduate of Carroll Jr.-Sr. High School, plans to study biology at the University of Southern Indiana. Hannah Evans, daughter of Shannon Kelly-Evans and Shawn Evans, is a graduate of Delphi Community High School and plans to study education at Butler University. Kaitlan Harber, daughter of Dale Harber and Cynthia Harber, is a graduate of Delphi Community High School and plans to study engineering at Purdue University. Samantha Mayhew, daughter of Tina Johnson and Brad Mayhew, graduated from Delphi Community High School and plans to study pre-medicine at Indiana University. The 2010 recipients of the Lilly Endowment are Jared Kelley and Abigail Reinke. Jared Kelley, son of Patrick and Kimberly Kelley, is a graduate of Delphi Community High School. In the fall, Jared will attend Purdue University to pursue a degree in engineering. Abigail Reinke, daughter of Jerry and Cindy Reinke, is a graduate of Carroll Jr.-Sr. High School. She plans to attend Indiana Wesleyan University to pursue a degree in exercise science.